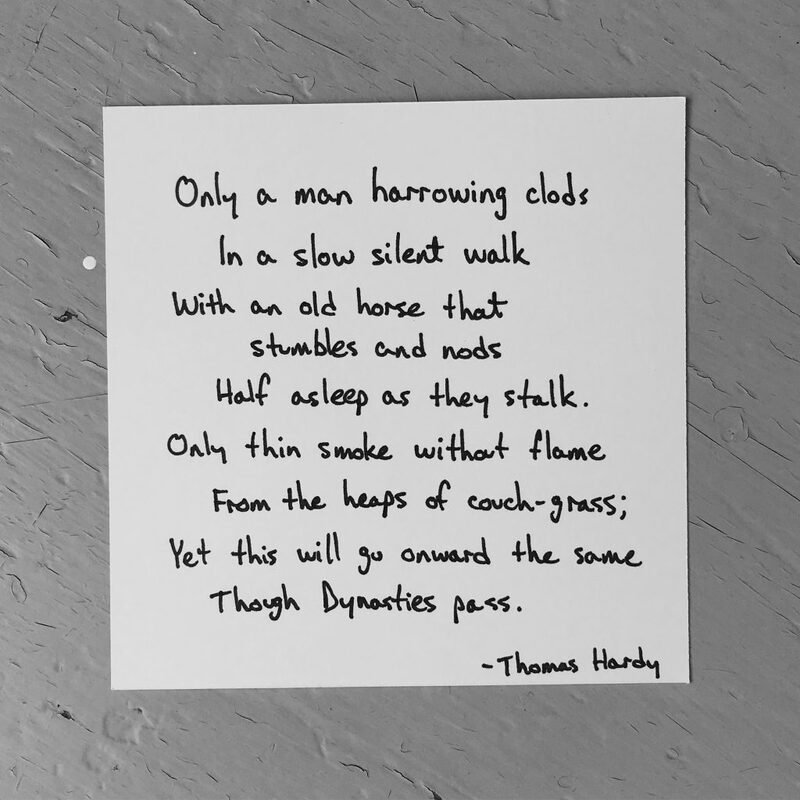 ​Came across this 100-year-old poem, “In Time of ‘The Breaking of Nations’” by Thomas Hardy, in Wendell Berry’s “The Unsettling of America”, and it struck a chord with me. The imagery in this poem runs a against the grain of modern culture – with its virtues of upward mobility, freedom from the burden of work, and its vision of success – and somehow rings as true. Small contributions over time are better than a flash in the pan. Work may be necessary (and burdensome), but it’s not evil. Slow and steady does win the race.